On Wednesday 20th June 2018, Corporate Staffing Services held a Free HR Training Program with the theme ‘How To Terminate an Employee’s Contract On Account Of Redundancy’. This training was driven by the lack and demand for Continuous HR Learning Programs and emerging issues in the profession. The 5-hour morning training saw attendance by a number of Human Resource professionals from different sectors cutting across Manufacturing, Banking, Security, Hospitality and Service Industries etc. all of them seeking answers to the topic of contract termination by redundancy. 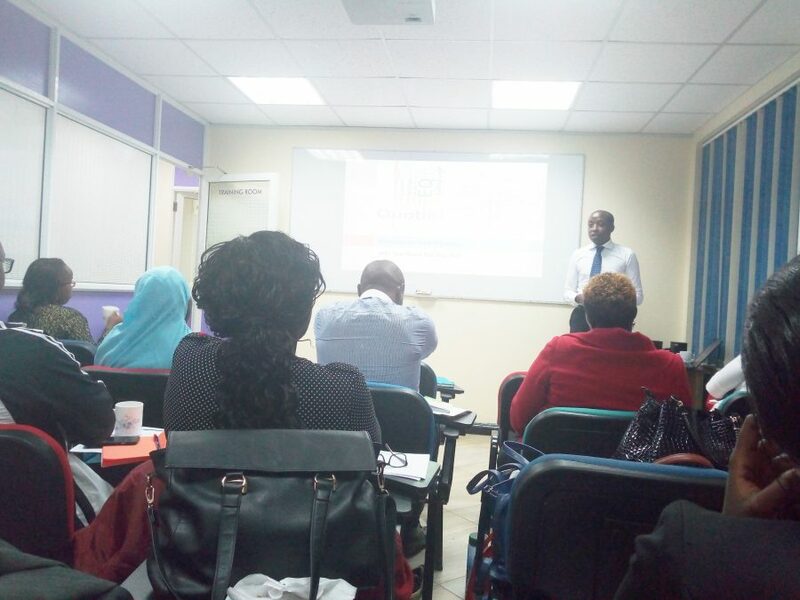 The Lead Trainer and CEO of Corporate Staffing Services Perminus Wainaina started the session by giving thoughtful insights on how termination of employee contract on account of redundancy is a challenging affair to many HR Managers today as very few have knowledge on due processes to be followed. His sentiments were backed up by the Guest Speaker, Ms Jacqueline Munyaka of Munyaka and Company Advocates, a law firm that specializes in Commercial law and litigation. In the talk, Perminus explained what redundancy was and different scenarios that could lead to employee contract termination on account of redundancy. He went ahead and explained the selection process to use in order to determine which employee to subject to redundancy test and how to come up with an objective score sheet. Also, the general process of giving out notice to an employee who is supposed to undergo contract termination by redundancy was discussed as well as the question on final dues and compensation. Ms Hellen Akumu Opuko, a HR Manager based in Mombasa said, “This training came at the right time as our business is going through tough economic times in regard to government regulations on SGR and Container Freight Stations. I personally walked away with a lot of useful information that will be beneficial to our business for future process alignment”. Next, Mr Perminus discussed mistakes companies make while carrying out the redundancy procedure like using redundancy as a punishment for non-performances, unfair selection for redundancy and declaring an individual redundant and not the position among others. The effects redundancy has on a company’s productivity and its employees as a whole were also touched on with anger and suspicion towards the company being top as well as tension between employees and management. The HR professionals were also taught on methods to mitigating this aftermath effects. It was concluded that redundancy can occur at any time as a result of different situations from national disasters to individual abilities and performances. The take away was that it’s up to you as a HR Manager to keep equipping yourself with the necessary skills to handle such scenarios as they arise without risking your freedom and the organization’s health! ’’I wish to take this earliest opportunity to thank Corporate Staffing Services for the invitation to attend the training on redundancy. I learnt a lot and this will help me wade through or avoid the mine field of employee litigation’s. It was a well-spent morning and for free!”, Says Ms Carolyne Misoi, HR Manager, Tourism Finance.